Ayamanatara is a natural clairsentient who played in the woods with faeries as a young girl and has overcome great odds. As a teen, she read the Koran and the Bhagavad Gita, because she wanted to better understand the Universe. But she was haunted by darkness – she first contemplated suicide at age 10, and was hospitalized on her eighteenth birthday. Even so, she earned a degree in Politics before spiraling further into despair. At age 24, she had an epiphany, and walked away from drugs and alcohol, dedicating herself once more to better understanding the Universe. She had two successful careers, one in the music industry and the other in New Media, before finding her true path of healing and teaching. Her challenges did not end there, though. Ayamanatara was diagnosed with fibromyalgia at age thirty-three, and spent years developing a diet and meditative practice that allows her to function despite great physical pain. That journey, like the others before it, has both forced her to deepen her relationship with the Divine, and given her a unique perspective on the challenges of others. Her path of seeking has wound through folk magic from the four corners of the globe, numerous Shamanistic practices, Kabbalah and the Western Mystery Tradition, and even intensive studies within the Abrahamic religions. Her practice today is a synthesis of all that she has studied, from a distinct Shamanistic viewpoint that honors the masculine and the feminine, with a focus on empowerment. It is from that place that she designs her courses, creates custom ceremonies, writes her books, and works one-on-one with clients. Ayamanatara is a Director and founding faculty member of Matrix International University, an institution of higher learning that offers four different three-year programs: NeoShamanism, Vibrational Medicine, Earth Magic Studies, and Intuitive Arts. 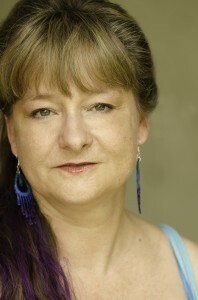 She consults for Cliffside Malibu; is the former Resident Shaman at Everyday Zen Relaxation Studio in Long Beach; and her teaching credits include being a Guest Lecturer at the Southern California University of Health Sciences, presenting at Pantheacon, and venues and institutions across the United States. She is the author of 6 books, including a book of action-oriented daily reflections and a textbook on Colored Light Therapy, and offers many meditation recordings. She is a member of the Society for Shamanic Practice, the American Botanical Council, the Sound Healers Association, the Sound Healing Research Foundation, and the American Society of Dowsers. Please note: I will no longer be accepting personal checks. If, for some reason, I do take a personal check from you, and it bounces, the State of California allows me to recoup the amount of the check, plus $35, plus up to three times the amount of your check in penalties.